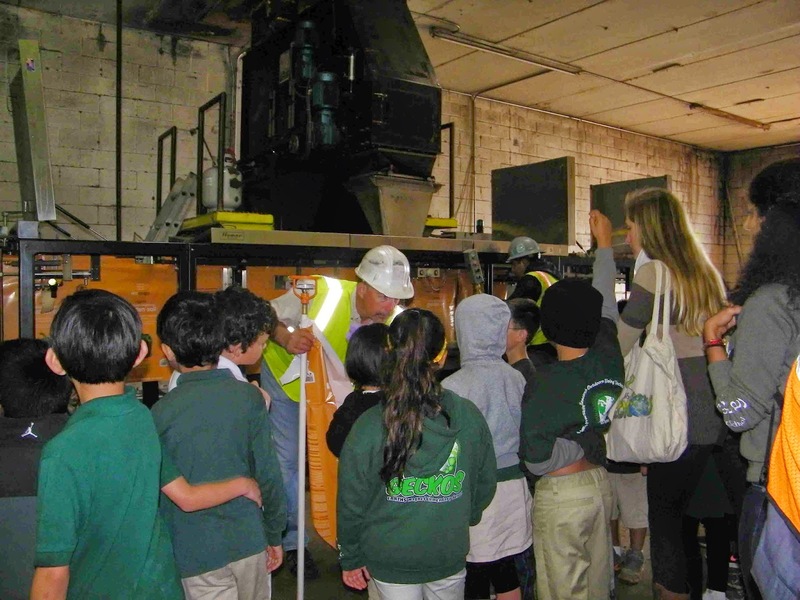 Second graders from EARTHS Magnet School in Newbury Park made a recent visit to Agromin to learn how green waste is transformed into compost. Agromin is the organics recycler for cities in Ventura County and other California cities. 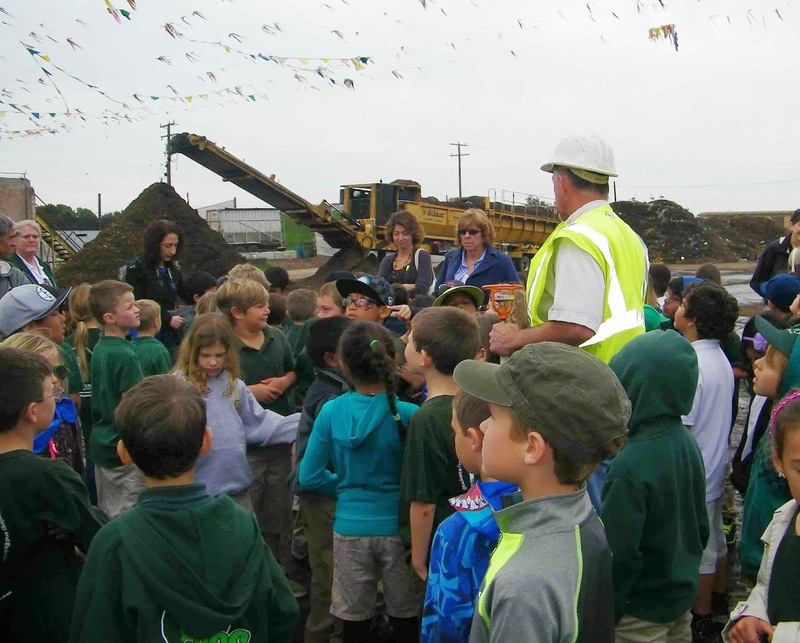 About 80 EARTHS students, parents and teachers visited Agromin's 24-acre Oxnard facility. Dave Green, Agromin's vice president of sales and marketing, gave the tour and was peppered with questions from students including "Are there bugs in the soil?" (yes, microbes), "Why are the piles of soil hot?" (a sign that microbes are eating away at organic material and turning it into compost) and "Do you use chemicals in your compost?" (no, only leaves, grass clippings, wood and other green materials). Students were relieved to learn that Agromin does not add sludge or animal waste to the mix. To demonstrate how composting works, Green measured the temperature of a composting pile, telling students that composting begins at 122 degrees. The temperature inside the pile was 130 degrees. "Heat shows that the microbes are doing their job," explained Green. "As they decompose the material, they are sterilizing the soil so it is free from bacteria. Agromin speeds up Mother Nature. It can take hundreds of years to create an inch of topsoil. We can do it in about 90 days." The students were then shown how compost is packaged in bags for sale at such stores as Home Depot, Walmart, the 99 Cents Only Store and Target under a variety of brand names. The processing machinery can fill a 27-pound bag of compost in seven seconds. 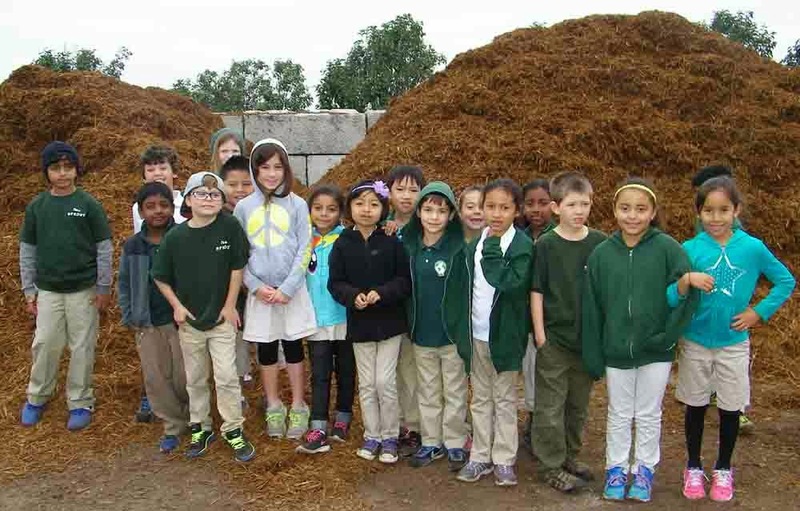 The entire composting process left an impression on the students. "I like that they don't use poop in their soil," says Lukas Cox, age eight. "It was also neat the way they put the soil in the bags." EARTHS interweaves environmental science and technology into its curriculum. According to Cathy Lewis, EARTHS Magnet School teacher, "This field trip connects to our study of soil and how it is made." Green told the students, that they could do their part to close the recycling loop. "To help, don't put plastic, paper or metal in your green recycling barrels," he said. "Once the organic materials become nutrient-rich compost, farmers and gardeners use it to grow healthy fruits, vegetables, plants and trees. If we don't recycle, all that green waste would end up in landfills."